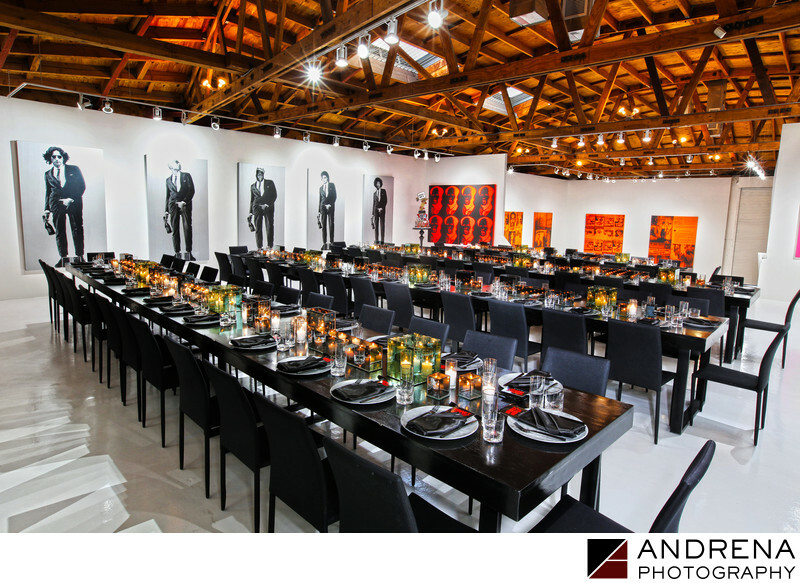 The Vanity Group is known for its outstanding work on client events, and we were delighted to be tapped to photograph Lil Wayne's birthday party and record release party for Tha Carter V. The Vanity Group team transformed this art studio into an intimate dinner, taking care to carry the party's Wayne's World branding throughout the dinner and the event. The unified branding provided invited guests with a seamless transition between the two events. We love working with production companies to capture the vision that they so painstakingly and expertly put together. Our technical and artistic expertise enables us to deal with complex situations involving space, guest counts, lighting issues and how best to capture the event producer's vision.